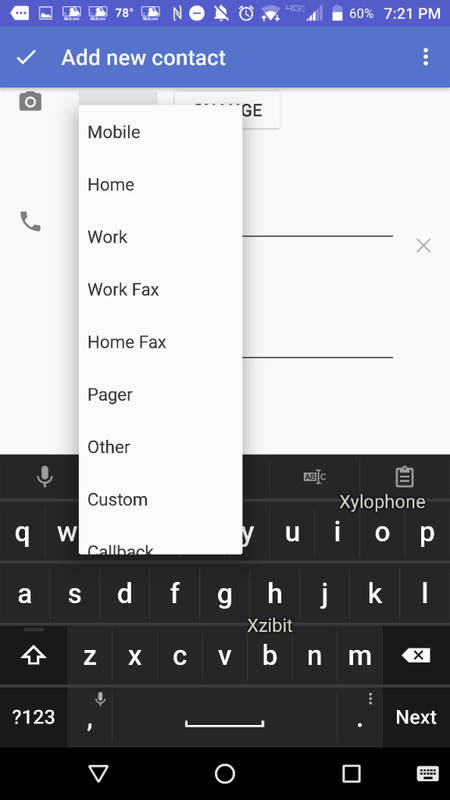 Dialing problems in Contacts Notes section - is this normal? The biggest disappointment I have with my KeyOne (besides backup/restore issue) is hyperlink to dialing. 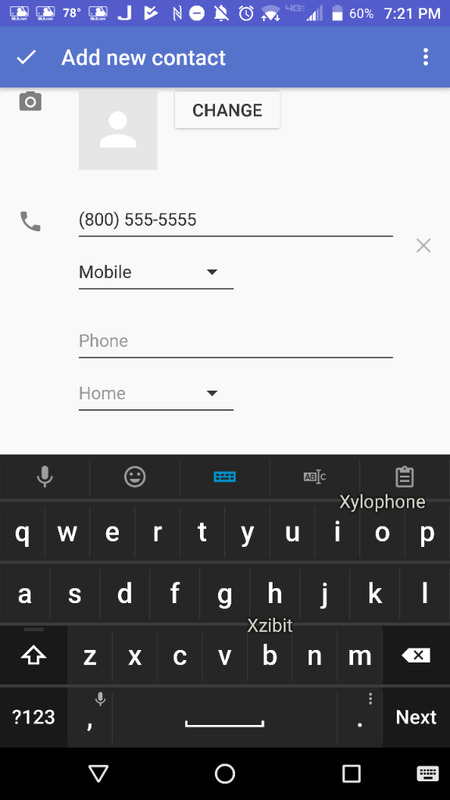 Example - on my old BB Bold, I could go into my Contacts and any telephone numbers I have associated in the notes section within the contact could be dialed. It was simple, hover over telephone number (it then highlighted) and press dial. Simple and easy. Not with my K1. Hover over the telephone number, press and try to dial. Nope. Offers you to copy and paste to clipboard but if telephone number is with names and other information ALL information is copied. HORRIBLE HORRIBLE HORRIBLE. By the way, this is not limited to the KeyOne, my S8 does the same thing - HATE IT. Other than redoing my thousands of contacts, can anyone offer a solution? Thank you. Sure, simple solution. Stop putting phone numbers in the notes section. 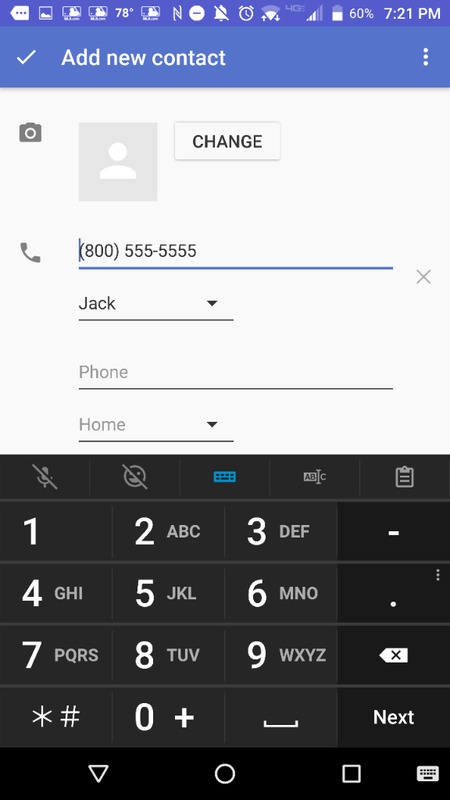 You can add infinite phone numbers to the normal number entry. That may be an option going forward but I ask why? Example - Let's assume I speak with John Smith, Mary Jones and Skip Rogers from BB support. 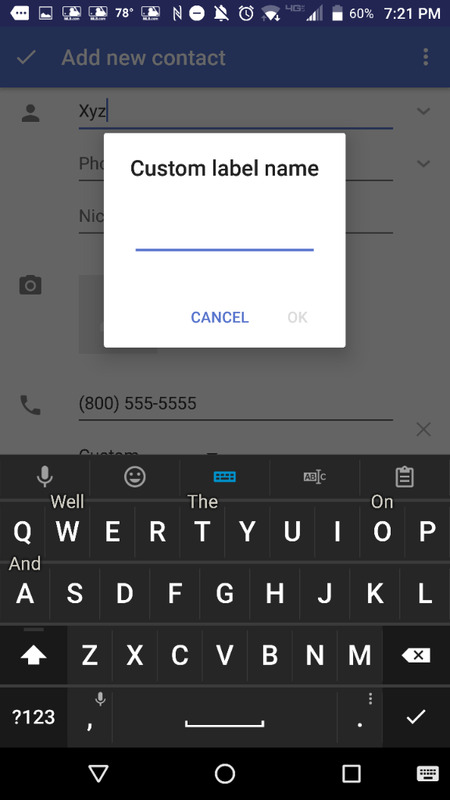 For me, I would create a "Blackberry" contact and list them under the notes section with their respective contact information. I would never remember their names when I needed to call but would remember the BB company name. I suppose I could do search under the company and their three contacts would come up but that seems an odd way of doing it. They would never call me so there is no need to give them their separate contact section. Does that make sense to anyone? Again, I feel like I am going backwards with the K1. All you had to do with my old Bold 9900 was hover over the number in the notes section and press dial. Easy. They say old technology doesn't cut it anymore. I say fiddlesticks. Last edited by whodathunkit; 10-09-17 at 08:04 PM. No, I used Notes similarly with my friend. She's an accountant and works for different clients. In the notes section I would list their company names, the day of week she worked there and their phone numbers. I'd have no reason to list each as a Contact and assigning phone numbers for names is limited. Your methodology is exactly what I would do and do currently. Same problem listing an entry on the calendar. Example - Assume I need to call BB tomorrow. I would put an entry on my calendar "call blackberry 1-555-555-5555." On my old BB9900, I would hover over the number and press dial - bam, connected. Simple, easy and logical. Not with the K1. Hover over the telephone number and nothing happens. Try to press and use cut-and-paste and you fumble around getting all of the number versus just part and you might be able to do it after 3 or 4 steps. When I'm in my car, hover with tracpad and press on my old Bold and I was in business. Now, I can't do it unless I am at a stop light and waste 5x the amount of time needed. Ridiculous. if you go to your contact "Blackberry" and add a number, you can choose to name that number "John Smith, Mary Jones, or Skip Rogers" you do not have to select the traditional "home, work, mobile"
2 other great features in the BB Contacts is having all calls from a select contact go direct to voicemail and the fact that you can search local businesses and add all their information into their profile like address, phone, email, etc.. quite awesome! I syc with Exchange and use Outlook on my desktop for Contacts and I don't see an option to change the pre-established "Assistant, Business, Business 2." There is an "other" but it doesn't give you the option to change to "John Smith." Everyone uses Contacts differently but I can't think of any reason why I would want a select contact to go directly to voicemail. What about the people that call with unknown numbers? not sure I would use the capabilities of searching local businesses in my Contact either. I have about 750 and I should now all of them; otherwise, they woulnd't be in my contacts. Again, everyone uses Contacts differently. 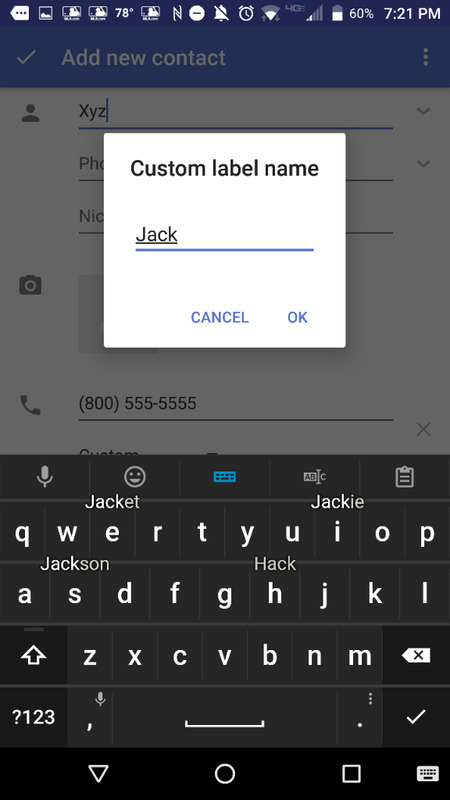 On my Contacts app, (Also it is synced with google) on the dropdown menu for Home, Work, Business, etc etc, I have an extra option that says "custom" and from there I can type in anything I want. The BlackBerry Contacts App. I made a fictional contact and named it. See below. Me personally, I have an elderly father with alzheimers that calls me throughout the day when I'm at work. My phone buzzing all day when i'm helping clients is not a good thing but I do not want to outright block him either, so I have all of his calls go direct to voicemail, so I get like 20 voicemail notifications a day from him. I also have an ex-girlfriend that always tries to call so there's another application of that great feature. Thank you for the step-by-step. Unfortunately, I use Outlook 2010 on my desktop and modifying the Custom tab is not an option on the BB Contacts nor my Outlook 2010 which it syncs to. Good use of Contacts for you. Is anyone having issues with email? Updated Blackberry Priv & now has Enterprise Management Client 1.. What is this?